Brand Visibility Tracking Apps has become an essential task for any corporation or business. Time has gone, when brands were unaware about the status of their particular action taken in the field of marketing. With new tracking app in the market, the brands get aware about the insights of their strategies and its effects on the different verticals of the globe. Thus, the brand can eye on the number of locations it has been cited. In conducting a brand tracking survey, you can get a much better sense of the overall impact of your advertising campaigns. Apart from that get customer insights about the brand to forecast future campaigns. By tracking brand’s activities, brands can make it out how aware are consumers about your brand and its services. This way parameters for marketing can be checked from time to time. For brands, it’s important to monitor a brand’s health. Apps for tracking Brand marketing clear the picture of the brand’s positions and its competitors. Your product and its service marketing can be compared step with your competitors to stay in the race. Tracking your brand equity can also help you measure the impact of marketing and brand advertising campaigns. This App can be helpful to analyze the ads of the pre-brand campaign before you launch your product. That way, you can observe your new brand marketing strategies focusing your target market. to be aware of the market and the surrounding this App can set benchmarks to measure your brand health over time. To know how popular and well-known your brand is Brand Visibility tracking app can be a good source of information. This is all about how to make consumers familiar with your brand. To know about the stats and where the brand stands among the others. This way one can get to know about consumer’s interest with a brand awareness survey. Apart from it, you can analyze comments that people make under your website, blog, tweets or any other source of information about your brand. Thus, tracking the brand awareness will become more important as its services grow with demand. It is very important to know how often do users/client visits your website or use its services. Thus, to get awareness about the website traffic over time can reveal insights of brand awareness. Moreover, to know whether you are looking in the right places Google Analytics tracks is the best tool. Therefore, Observing the overall performance of the brand gives ideas how of changes in brand awareness in time and the right place. There should be the reason why consumers must think about your brand. Reasons can be based on how well you fulfil the needs of the client or the user. For a brand getting consumers’ opinion can help to understand where to improve or what needs to be done for it. It matters a lot what do consumers think your brand and is it meeting customer’s expectations. Moreover, after knowing the pitfalls, brands try to associate with user’s expectation, after all, they are the only source who will acknowledge them. With time it is clear that brand awareness is the foundation on which it can build a marketing strategy. Hence, by increasing the number of consumers is directly proportional to brand awareness that is an integral part of success. Earlier it was the challenge to know an accurate insight into the level of brand awareness. Now with the help of Brand Visibility Tracking App the process while supplying richer data that is more simplified. 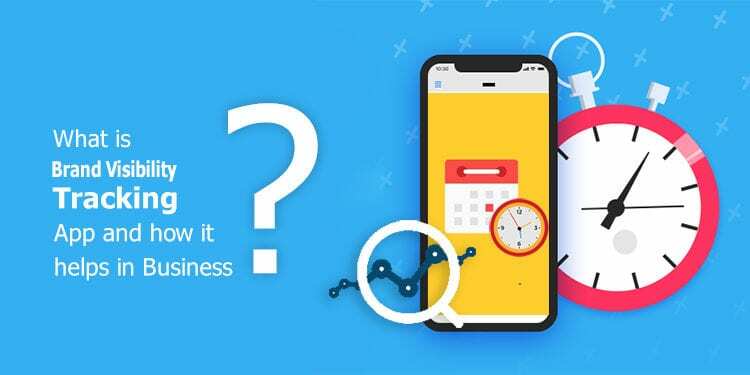 Using such an app to track brand awareness provides you within and out of the brand that you need to know to monitor and grow the buzz around your brand. Author Bio: Harry William is a business marketing specialist at Quytech, a leading Android App Development Company. You can hire android developers to develop an app for your business.